Last Thursday, December 6, Windsor Run hosted a one-day event called Sharing Holiday Traditions Festival. Sponsored by the Diversity and Inclusion Committee, the event was designed to highlight some of the resident’s experiences during the holiday season. 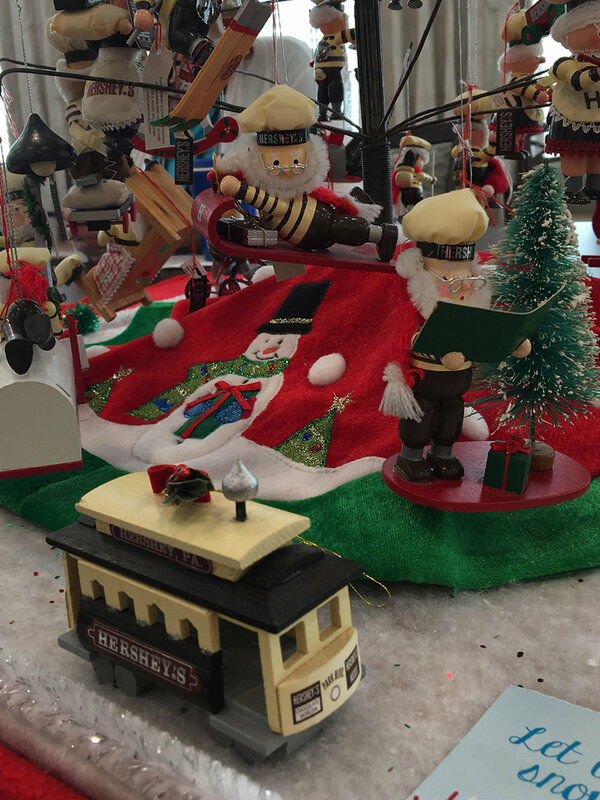 Among the nine displays were Sandy Schneiderman’s images of Chanukah; Judy Schaffer’s collection of Hershey ornaments; Margaret Corsier’s ornaments from the White House Historical Society, and Sharon Nank’s embroidery and appliqué work. Joy Rieves displayed the Santa’s sleigh she received as a one-year-old next to the photo taken of her, then, with this item. This was an opportunity for people to get to know their fellow residents better and to see what memories and handed-down traditions they’ve kept during their lives. “This is a way to share our tradition,” said Sandy, pressing the button on her dancing Chanukah/menorah dog, to the delight of passersby. Windsor Run Retirement Community officially opened in May 2018. The two residence buildings, Dogwood Place and Sycamore Square, are now home to more than 230 residents. To meet the demand for its services and amenities, a third independent living residence, Beech Hollow, will open in 2019.